Duro-Last’s seams are heat welded together and DON’T rely on glues and adhesives. The Duro-Last roofing system is prefabricated to precisely fit every manufacturing/industrial roof. 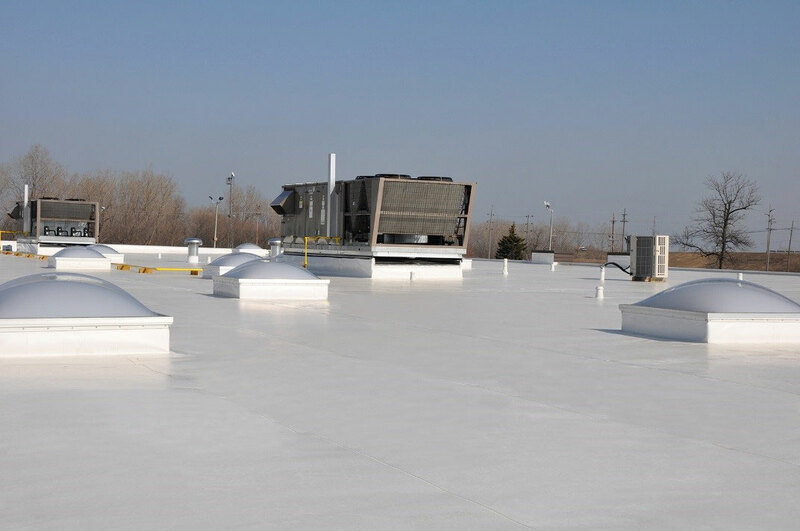 By performing 80-85% of membrane seaming in controlled factory conditions, Duro-Last reduces the potential for rooftop installation errors and leaks that can occur with other systems. Custom prefabricated stack, curb flashings and corners eliminate the majority of on-site work from the most critical areas of the roof. It is commonly believed that the thicker membrane offers superior protection, but it is important to note where the thickness comes from. 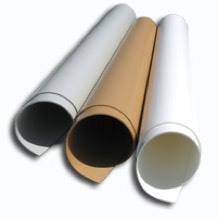 The top layer of a membrane-also known as the “performance” layer – is the most vulnerable. With daily exposure to harsh natural elements, like UV rays and unpredictable precipitation, and regular traffic from mechanical and building maintenance crews, membranes with inadequate performance layers are susceptible to accelerated deterioration and damage. While thickness is an important factor in a roof’s longterm performance, the reinforcement scrim layer serves as a main source of the membrane strength. Knitted in-house, Duro-Last’s antiwicking polyester weft-insertion scrim has an 18x14 threads per-inch density among the highest in the industry. The enhanced thread density and high tensile strength provided by the polyester yarn offers superior puncture resistance, while the weft-inserted tie yarn prevents runs and doesn’t allow tears to spread. Additionally, the antiwicking polyester thread prevents moisture from penetrating yarn fibers, improves welding conditions and eliminates the need for edge sealant, enhancing the performance and watertight integrity of the Duro-Last Roofing System from the inside. There are no noxious fumes and toxic solvents used to install a Duro-Last roof. Since its inception in 1978, The Duro-Last roofing system has evolved into the “World’s Best Roof,” and today is the world’s largest manufacturer of prefabricated, single-ply roofing systems.